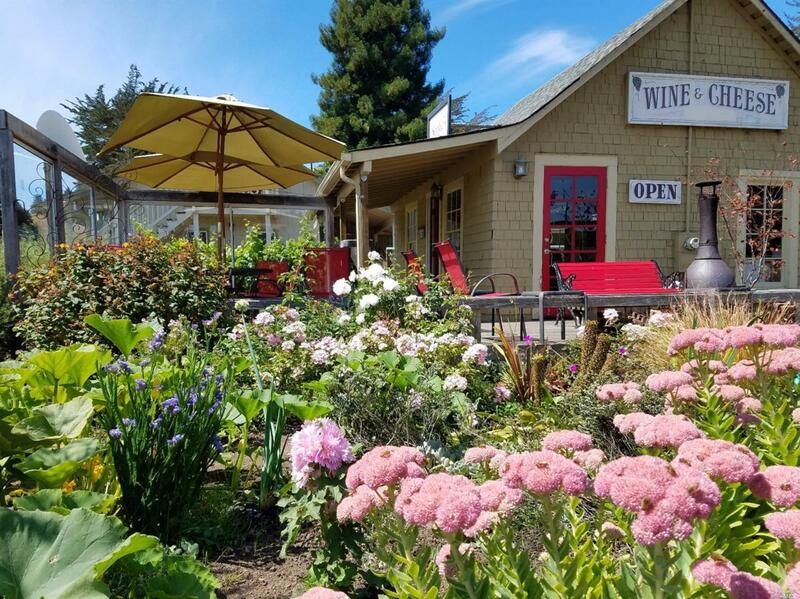 Turnkey wine tasting room & wine bar serving cheeses, meats, chocolates & gourmet foods in a popular historic shopping complex in the Russian River. www.sophiescellars.com Includes liquor license for on and off-sale wine and beer, on-site pouring of wine and beer and shipping of alcohol to US states where permitted. With outdoor seating, a garden and bucolic views, guests enjoy both day and evening hours. Listing courtesy of Ellen Strady of Artisan Sotheby's Int'l Realty.